Choosing your suit can be just as exciting and overwhelming as the bride picking out her dress. You will find that you are absolutely spoilt, with an incredible range of styles, cuts and colours to choose from. But first things first, before you start the search for your suit, there a few things to think about beforehand. Take into account the season – are you tying the knot in Summer? Then you may want to wear something a little lighter than a traditional three-piece suit. 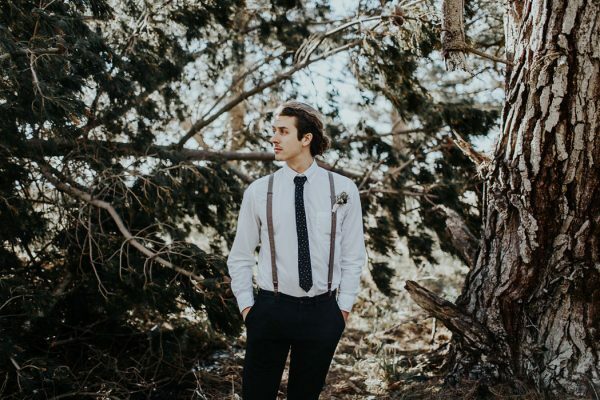 If you’re having a cosy Winter affair, make sure you opt for a suit where you will stay warm all day long – even with those chilly outdoor wedding photographs! 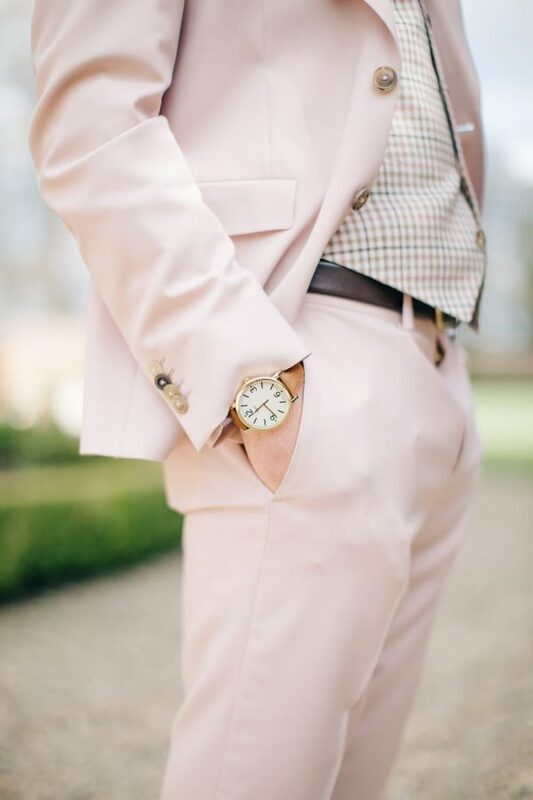 Consider your colour palette and wedding theme, you want your suit to fit in with everything perfectly. You want to feel comfortable, confident and most importantly, like ‘you’ on your wedding day. If you often wear braces or a bow-tie, be sure to incorporate them into your aisle style. You’re going to be wearing your suit all day long and you want to be able to look back at your photographs with pride. 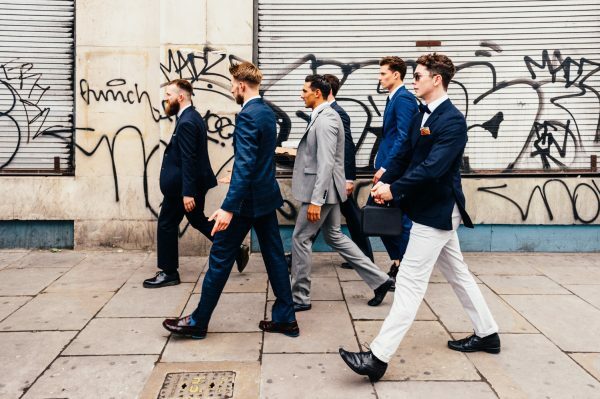 Make sure your groomswear reflects your individual style and personality, and then you’re guaranteed to look great. Let’s talk about trends. Add a hint of luxury to your wedding outfit with a variety of jewel tones. This trend has been a firm favourite in the world of weddings and it looks like it’s here to stay. 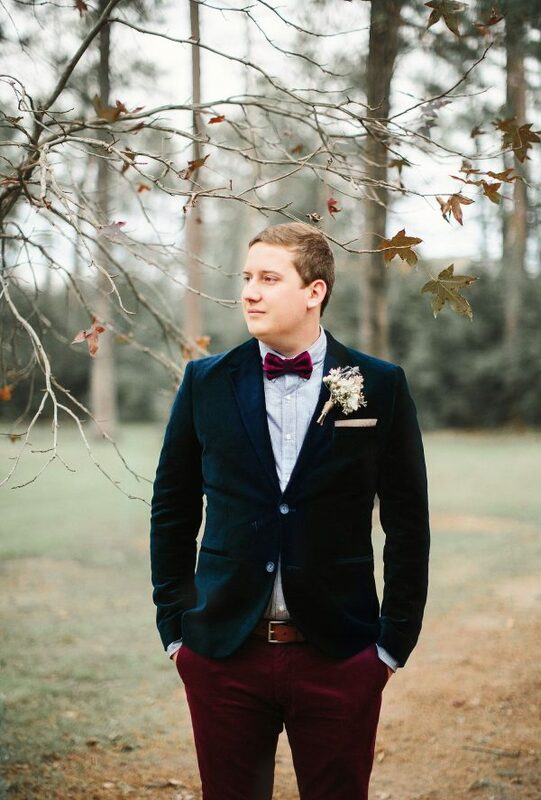 Plush navy, dashing emerald and rich burgundy are all making appearances in groomswear trends. A modern take on a traditional look, this trend offers you the chance to wear something a little different for your celebrations. The colour palette looks particularly handsome paired with velvet – we’re talking a smart velvet jacket, bow-tie or waistcoat. 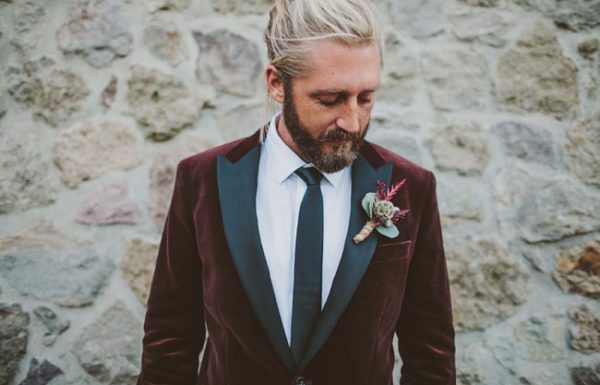 Velvet is currently huge in the fashion world and it’s a great option if you’re having an Autumn or Winter wedding in 2018. It’s time to accessorise! Think carefully about how you are planning on accessorising your wedding day look, as this can effortlessly transform any suit. Stylish hats, leather braces and vintage-inspired pocket watches are all dapper ways to add something unique to your aisle style. Plus, they make a super gift to open on the morning of the wedding! 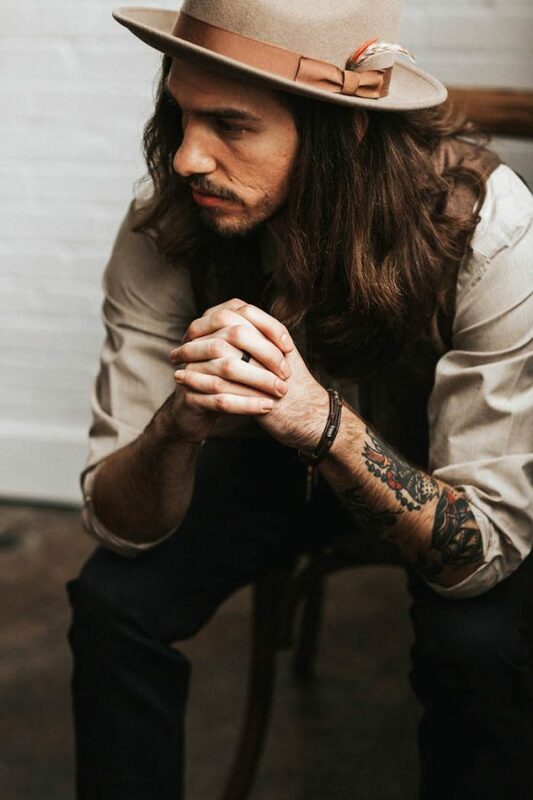 Whether you want a high end or high street suit, you’re guaranteed to find something to suit your style with the help of our groomswear trends and style guide.